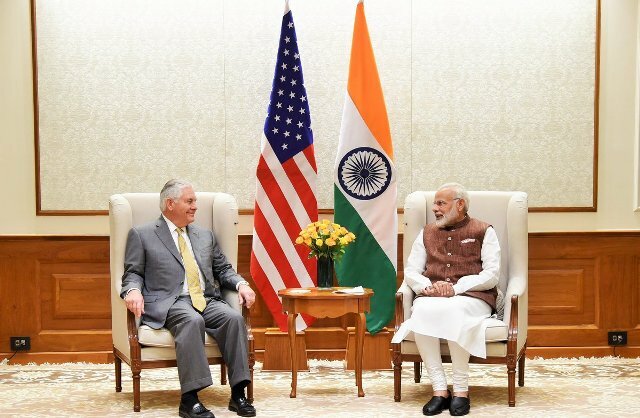 The US Secretary of State Rex Tillerson met Prime Minister Narendra Modi on Wednesday. Both the leaders discussed stepping up effective cooperation to combat terrorism in all its forms and promoting regional stability and security. Earlier today, Secretary Tillerson also had discussions with External Affairs Minister Sushma Swaraj and National Security Adviser Ajit Doval.